Seventy years into Independence from British rule, it is apt to draw up a modest balance sheet, having regard to the different dispensations comprising the two ruling parties, viz., the UNP and the SLFP and their respective allies. Well, one of the first acts of the DS Senanayake-led UNP Government, was the decitizenising/disenfranchisement of the Plantation sector workers, ironically as Independence dawned. It was an anti-Tamil and anti-working class step, and was thus 2 birds with one stone. The Plantation workers , as is well known, were imported by the Colonial Government from the neighbouring Indian State of Tamil Nadu. DS Snenanayake lamented thus: “The Sinhalese have been misunderstood and their generosity forgotten. I do not think there is any community like the Sinhalese who who have consented to penalize themselves in order to give privileges to others…… The Indians have a big country, and we have this bit for ourselves. We want this country for ourselves” (Hansard – 8th November, 1948). And, CWW Kannangara talked of the “menace of the Indians swamping the permanent population, and went on to add – ” only traitors will not oppose their enfranchisement”. 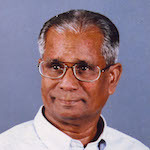 And, Dudley Senanayake, who succeeded his father, DS as Prime Minister in May 1952, said: “The UNP has succeeded in liquidating the Indian menace in Ceylon by the simple device of denying the vote to Rsamasami and Meenachchi” while, on the other hand, prominent Trade Union leaders at that time, Natesa Iyer and A Mahadeva, prophetically warned of the dangers that could be triggered by racism, but such patriotic warnings fell on deaf ears. It was the LSSP leader, NM Perera who protested then against the Plantation Sector workers being not enfranchised, debunking the bogey of swamping as an entirely imaginary fear created by irresponsible people. The next phase was ,of course, the power hungry , opportunistic “Sinhala Only” language policy to capture power by doping the Sinhala constituency. Of course, the LSSP stood up most vehemently against it, warning of future calamities and bloodshed. The LSSP also played a indefatigable role on behalf of the Plantation workers, also identifying the Plantation sector epicentre of the Sri Lankan revolution by the likes of Edmund Samarakkody. Then came the policy of standardization of marks for University admissions during the Sirimavo Bandaranaike Government in the 1970s, causing detriment to Tamil medium students, driving them to frustration which gave a fillip to the nascent Tamil armed struggle. It was in 1971 that the JVP’s Blanquist-style insurrection was launched involving mostly Sinhala educated unemployed youth. Tens of thousands of Simhala youths were killed.